Whether you're an iPhone power user or a beginner, searching through thousands of iPhone apps in the App Store is a challenge. More and more are being added everyday and so you'll want tips on the Top iPhone Apps. It's time to find out about the top 10 iPhone apps you should have on your new iPhone. You'll find anything and everything about the latest and greatest iPhone applications here. There are quite a few handwriting recognition apps out on the market today but how do you know which ones are the best? Discover the top apps that will let you use your finger as a pen. Learn how to use your fingers as a stylus pen to jot down notes, make a list or write an email. How Well Do You Know Your iPhone Games? Take Our Quiz to Find Out! iPhone owners spend more time gaming than any other smartphone users, so it’s fair to say you guys know your games! Or do you? Why not take our test to see how well you really know your iPhone games. Do you want access to the smartest people in the world? 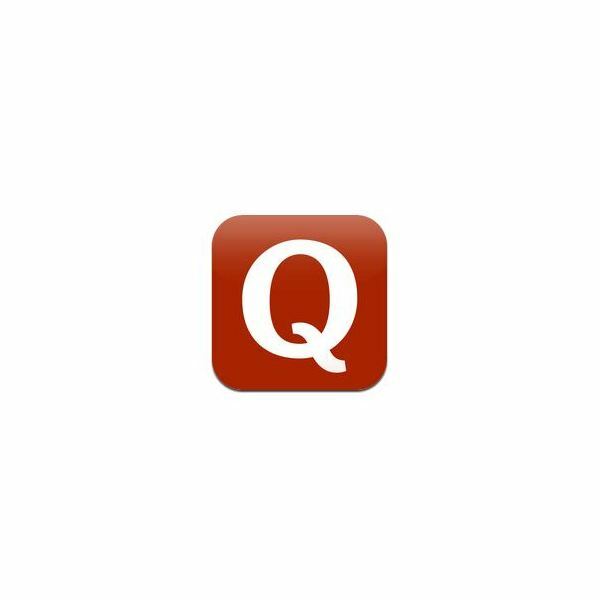 Discover how Quora provides you with exceptional answers on a variety of topics. Ask a user anything you want and you will get an answer. Even the most disorganized among us probably write notes and to do lists at some point, but the iPhone can offer you so much more than a list you can cross off. Task and Personal Manager apps help organize every part of your life from remembering birthdays to keeping track of a project’s progress. How about a little help keeping track of your finances? How about banking on the go when it’s convenient for you? What you need is some money management apps for your iPhone. Although BlackBerry still seems the favorable option for business users, it’s true to say that the iPhone has made up huge ground in this area and can offer everything the BB has and way, way more. It can transform your phone into a pocket office with apps for anything the office can throw at it. The time I check my phone the most, is when there is a game on that I can’t be there to watch — I love getting updated scorelines (sometimes!). This is just one way that the iPhone and sports combine brilliantly. Whether you are a sports fan, or prefer to participate, this guide is for you. Think you know everything about all of the apps on iTunes? Test your knowledge and get tips on all the fun, crazy applications that are available for your smartphone. You probably know that among some of the great pre-installed apps on your trusty phone, you also have an iPod on there too. Well, iPhone can do much more than that – in fact you don’t even need iTunes for music. Sit back and relax as we transform your iPhone into an all-in-one entertainment device. In our increasingly busy and fragmented lives, it’s all too easy to forget things that we really should remember. Notes from a meeting, a to do list, even reminders about a birthday — our brains just can’t keep up with it all! So take iPhone note-taking to a new level and keep yourself organized. Let’s face facts, your iPhone is a lush piece of gadgetry, but tough it aint! Still, it is a must-have device to pack for a camping trip, sailing adventure, or a hike in the mountains (to name just a few). We round up the best apps and some tough accessories to keep your iPhone protected. Who loves their iPhone? Of course you do, otherwise you wouldn’t be concerned in the least about iPhone security. Of course security can mean different things to different people, but whichever area of the security debate you are concerned about, well, there’s an article for that! Fitting comfortably in your pocket, it’s no wonder that the iPhone is so popular when on the move. It holds great potential when traveling further afield too. Let it find great hotel deals, help you at the airport, guide you around the city, or even translate foreign menus for you. There’s nothing we like more than discussing the weather, and the capability of some iPhone weather apps can take your chats to a whole new level! As you carry your iPhone with you everywhere you go it is the perfect device for staying up to date with the latest news in different ways. Whether you’re looking to turn your phone into a virtual guitar or piano, or you are a musician who is looking for apps to record your music with, you can use this guide to help you decide which music apps are right for you. There are plenty to choose from on the iPhone. The iPhone is a powerful device but it can’t cook us up a nice dinner or pour a glass of wine just yet. However, it can help you find a nice bottle or discover a great restaurant. Here are the best food and drink apps on iPhone. Using one’s iPhone is one of the easiest ways to track one’s fitness. There are many apps that can help you achieve certain goals: personal trainers, calorie counters, sport-specific training, and motivational workout pacers. Pick up your iPhone and try some of these fitness apps. Whatever age you are, and whatever you are studying, the iPhone can lend a helping hand. Educational apps are big business nowadays and there are loads to choose from. Everyone loves a freebie and if you own an iPhone you can get your hands on a multitude of free apps. Take a look and find out just how much is at your fingertips without you having to shell out a cent.